Welcome To My Blog About Felton Grove! 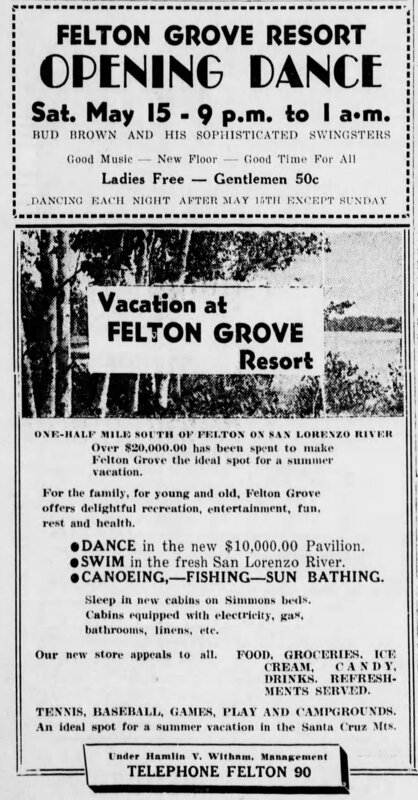 1937 ad for the new Felton Grove Resort. Santa Cruz Evening News. May 11, 1937. 1937 Postcard Courtesy of Ronnie Trubek. Entrance to the new Felton Grove Resort, formerly Felton Grove Auto Camp. 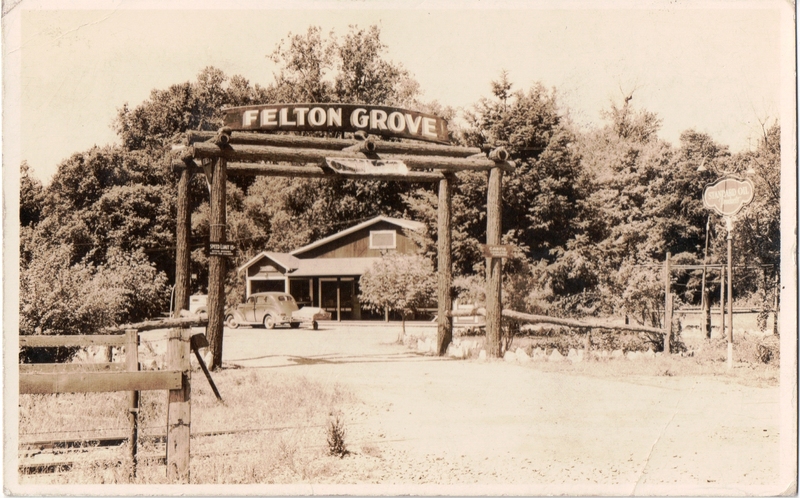 This entry was posted in Felton Grove Auto Camp, Felton Grove History, Felton Grove Resort and tagged 1937, Felton Grove Resort opens, formerly Felton Grove Auto Camp. Bookmark the permalink. This sounds like such fun! I will stay in the cabin on the river… and maybe never leave! Seriously, I bet it was a blast back then. Those cabins were bought as summer homes to many from the Bay Area. By the time we bought ours, most were permanent residents. So much has changed. Tom Morch and Fred Wetton told us that every summer every one would help dam up the rivers where the Zyante and San Lorenzo came together, creating a swimming hole. That was still a fun place to hang out when we first moved here in 1977. Kids would bring their horses and hang onto their tails as the horses dragged them along the river in the deeper waters. Thanks Vicki for photo! Where in trhe Heck is it? Who in the Heck is it?